Are you planning a weekend getaway or summer vacation? STAMPlorations has a new line of Wanderlust travel stamps and CUTplorations dies that are perfect for travel journals, scrapbook pages, cards or gifts!! Today my cards are featuring two of the new dies and two large, individual stamps similar to the ones in the Born To Roam Club Collection. 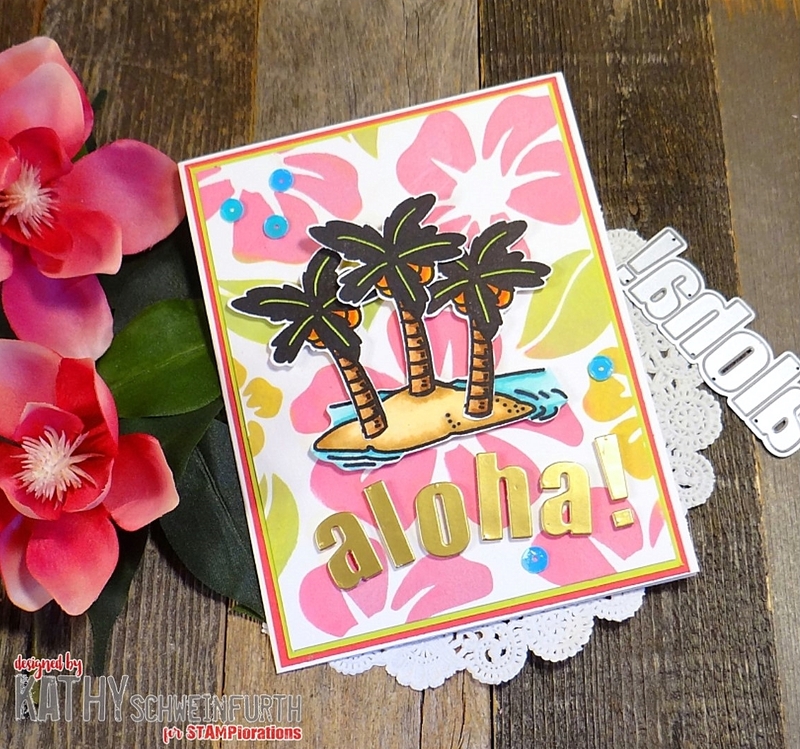 For my Aloha card, I created the background using the Bold Florals stencil and distress oxide inks. 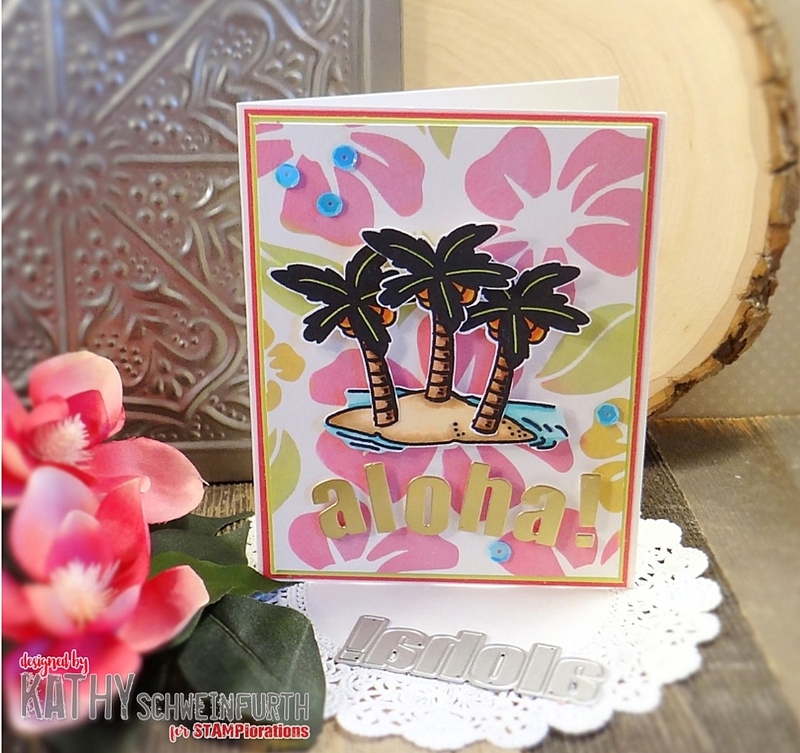 The palm tree image was colored and fussy cut and I used shiny gold cardstock to cut with the new ALOHA word die! One of the great things about these new word dies is that the letters are separate allowing you to easily cut each from different cardstock or even mix up the letters to create another word(s). Road trip! For this card, I created a background using a matte medium and distress oxide inks. 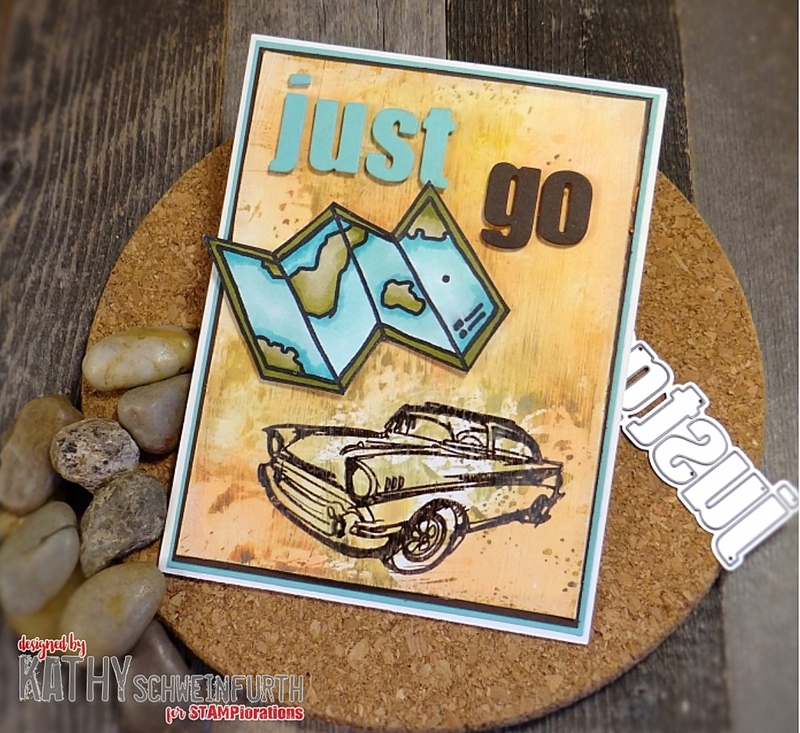 The car image is from the Enjoy The Ride set which was stamped directly onto the background piece. The larger map image was copic colored and fussy cut. 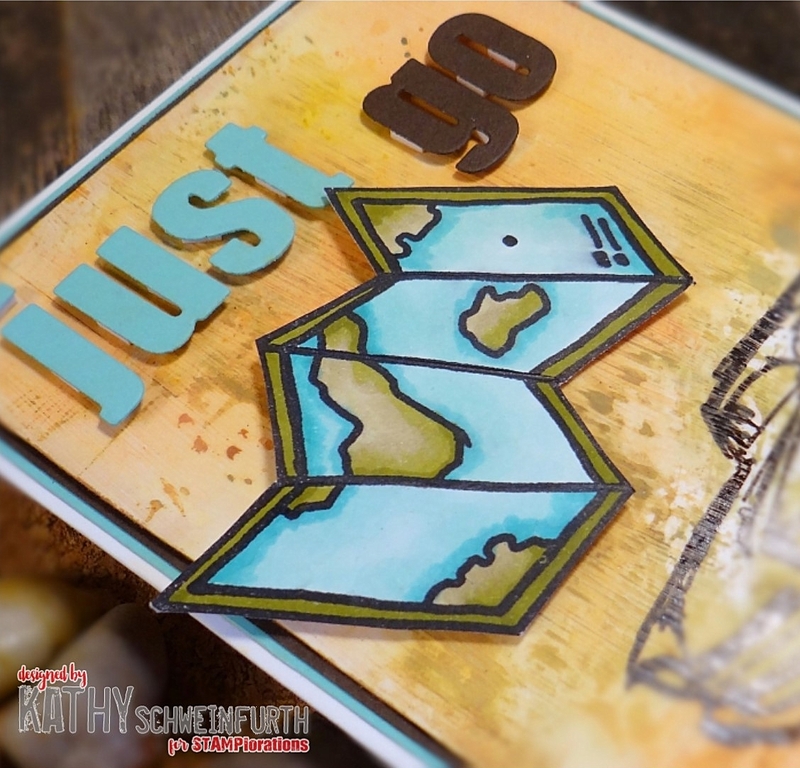 The new JUST GO word phrase dies were used to cut the different cardstock colors. 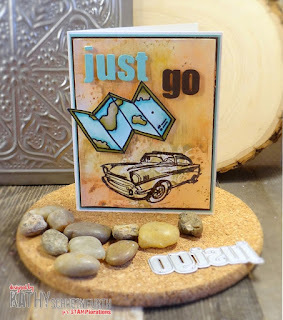 Be sure to check out the STAMPlorations blog to see all the new CUTploration word phrase dies and larger Wanderlust images! 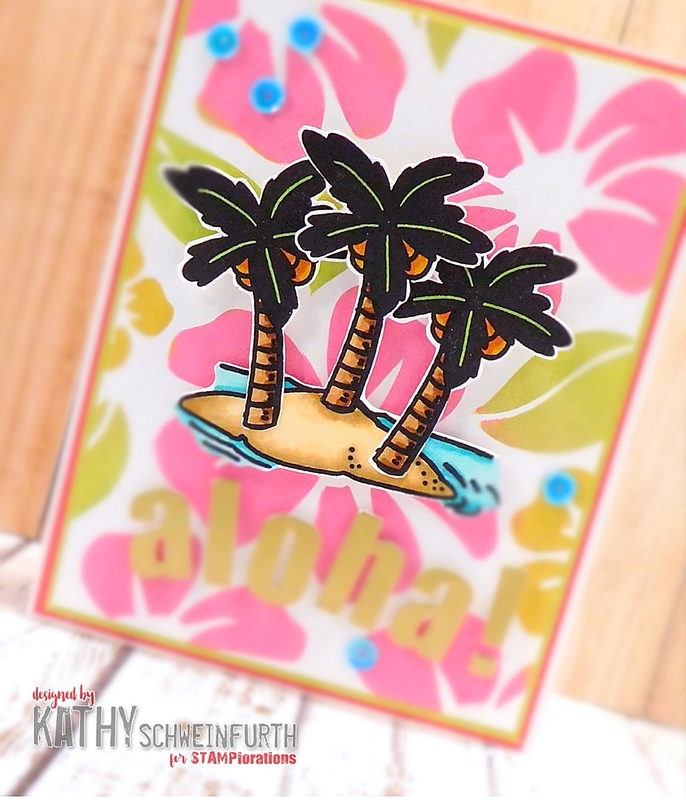 Fabulous work with the stamps and the die cut - lovely! Great cards! Always on the look out for more masculine ones, so love the car. Oh wow! I love these! Super fun! 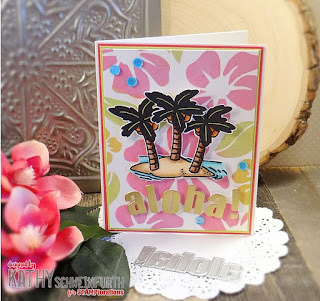 lovely cards ,the matte medium and oxides background is so interesting !! Especially taken by the ‘just go’ set, think I need it for Summer scrapping! Wow! Gorgeous and cool cards!!! Love them!!! Two fabulous cards!! 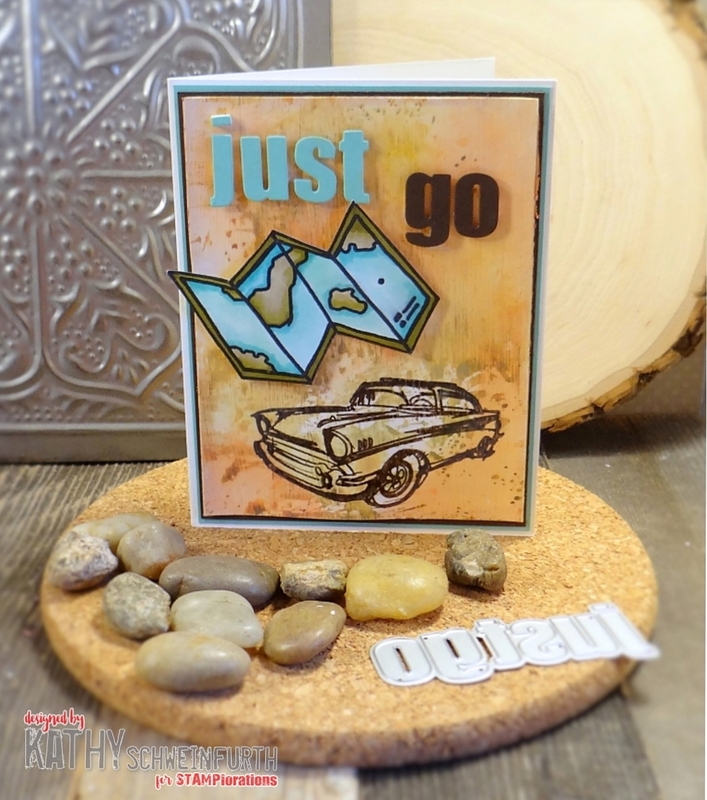 I really love the "just go" card; perfectly masculine and beautiful at the same time. Great cards. My fave is the one with the car.